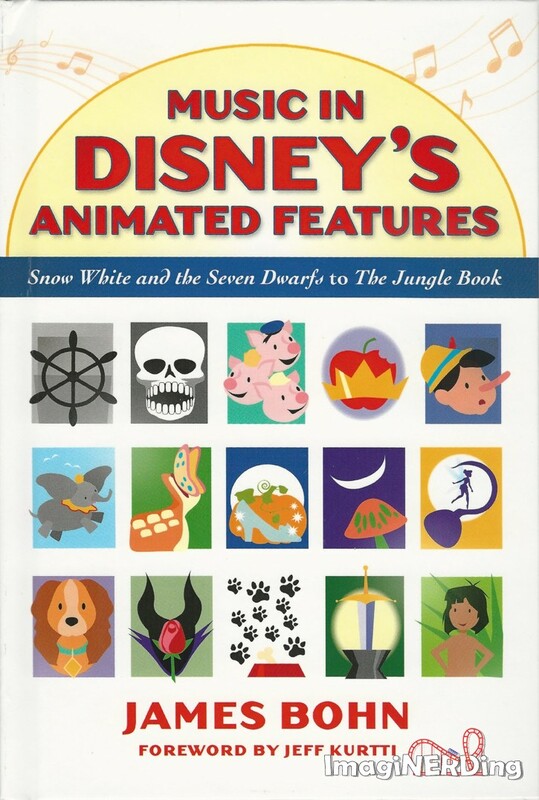 Music in Disney’s Animated Features: Snow White and the Seven Dwarfs to The Jungle Book, is one of those books that surprises you. 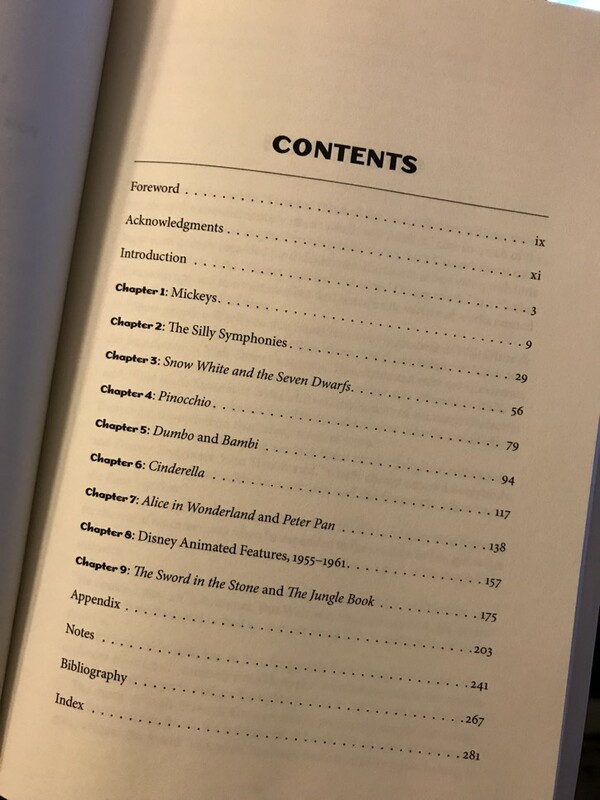 Although the book does follow the title, it’s so much more than just a work on the music of Walt Disney’s animated films. I’ve known James for a few years (we’ve followed each other on social media), and I had no idea that he was working on this book until he asked if I’d like a review copy. Obviously, I said yes and I received a copy from the University Press of Mississippi. James covers the early Mickey shorts, the Silly Symphonies and all of the animated features until Walt’s passing. The book has 294 pages, but he also has extensive notes, a bibliography, index and appendix. It’s quite obvious that James did his homework and has a love for the music in the animated films. I will be the first to admit that some of the book does go over my head, especially when James is discussing very specific musical terms, but I enjoyed reading all of it. What blew me away was all of the biographical information that James provided on the various songwriters, composers and musicians that worked with Walt Disney and the studios. James was even able to bring to light a few musicians that I had never heard of. James tracked down an impressive amount of biographical research. James also traces the evolution of music in the films. From simple scoring to accent the action (Mickey Mousing) to full-fledged orchestration to punch the emotions, James looks at every nuance of music and film. With each film, he also looks at the reception of the music as well as popular reactions. He lists all of the covers that other people have done as well as re-issues. James is also able to point out when Disney made a leap forward in technology and music or with using music in general. There is so much in Music in Disney’s Animated Features that it’s almost hard to recount! James has created a work that future researches are going to cherish. Modern fans and enthusiasts are going to enjoy it as well. The insight provided hasn’t been featured in other places, mainly because James is uniquely qualified to offer thoughts on music and film. If you’re a fan of the animated films of Walt Disney or film and music, then you need to grab a copy of the book today! Are you going to pick up Music in Disney’s Animated Features by James Bohn?